Your Cycle.Your Route. Your Rules. If you love cycling, make this the year you do something that really pushes your limits. Is there a mountain pass you’ve had your eye on? How about testing your endurance with a multi-stage epic? Or perhaps there’s a route out there that means something special to you? You choose the route. You make the rules. It’s your cycle, your moment so when and where you go is completely up to you. You can take on a solo challenge or team up with friends. Every mile you ride and every pound you raise will help people affected by cancer to take back control of their lives. Sign up today and we’ll send you a free pack full of tips, tools and inspiring ideas to make your cycle a big success. How do I get a fundraising pack and when will it arrive? Just sign up and fill in the form to let us know you’re planning to take part. We’ll try to get your pack to you within seven to ten days of registering. If you don’t receive it, please let us know by email cycling@macmillan.org.uk or by phone 0844 375 1451. How can I raise more money on top of sponsorship? Here at Macmillan, we love fundraising and we want to help make sure it’s as easy as possible for you. Need help planning? Get our advice on the nuts and bolts of organising your own event. Just looking for some inspiration? From cake sales to football sweepstakes, quiz nights to tugs-of-war, find your perfect fundraiser in our Little Book of 101 Big Ideas available from be.Macmillan. How should I go about finding a route to cycle? Have a look at our suggested routes section. These are just a few favourite routes across the UK. If you don’t see anything quite right there, check out the sustrans website where there’s a great interactive map of National Cycle Network routes, plus a section for cycling inspiration. The Guardian has its own collection of Britain’s Best Bike Rides, many of which are suitable for groups of mixed abilities. Looking for an overseas adventure? Try the eurovelo website where you’ll find fifteen classic European routes from Lisbon to Moscow and everywhere in between. Plus, if you’re feeling really brave, Rough Guides has a beautiful photo gallery of some of the world’s most epic cycle routes. Be aware that these are extremely challenging routes, definitely not for beginners. How far in the future should I pick a date for my cycle? Lots of things can affect how far in advance you plan your cycle. How much training will you need to do? Will you want to hold extra fundraising events to help you reach your target? If you’re hoping to ride with friends, how much notice might people need to get it in their diaries? 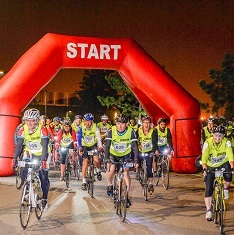 Lots of our cyclists start planning three to six months in advance to give them plenty of time to fit fundraising and planning round their busy lives. If you’re planning something really ambitious, you might need a bit longer. What can I do to make sure my ride is safe? You can make your ride safer by learning your route carefully, making sure your bike is roadworthy, riding alert, making sure everyone you’re with knows how to ride in a group, and having the right gear and supplies (see the next question). On a long tour, pre-planning your breaks and overnight stops will save you a lot of hassle and potential difficulty. If you’re taking on a solo challenge, could friends or family meet you at points along the way? If that’s not possible, make sure there’s someone who knows your route and is waiting to meet you at the end. Whatever kind of ride you’re doing, it’s a good idea to consider whether or not you need insurance – this is particularly important when riding overseas. Are you opening your ride for members of the public to take part? If so, please see the question below about ‘planning a public ride’ below. This depends on the type of ride you’ll be doing. Spend some time during your planning thinking about what you might need. Where can I find help with training? Sign up for your fundraising pack and inside you’ll find a training guide full of expert advice on everything from building your cadence to eating like Wiggins. Whether you’re riding closer to 50 or 100 miles, there’s a day-by-day schedule you can follow or adapt, plus special advice if you’re heading off on a multi-day adventure. I am planning a public ride, what do I need to think about? If you are planning a group ride it is crucial to ensure that you are fully prepared, have carried out a risk assessment and have any relevant insurance. British Cycling has an excellent organising your own ride section on its website with insurance and planning information, an online registration system and promotional ideas. Finally, it’s a good idea to read the advice on organising your own event provided by the Institute of Fundraising. 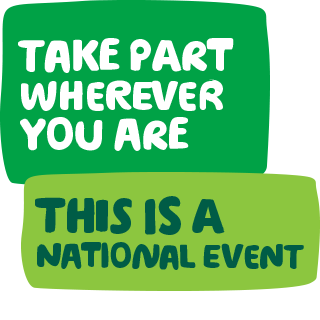 If need advice about any of this, get in touch with our fundraising support team on 0300 1000 200 or by email at fundraising@macmillan.org.uk. Can I get another sponsorship form? Do you have Macmillan Cycling Jerseys I can wear for my ride? Yes, we sell Macmillan cycling jerseys, as well as water bottles, sweat bands and other merchandise through our online shop. How can I get posters and flyers to advertise my event? I’ve done my ride, how do I pay the money in? Paying your money is is easy. Find out how. If you’re not sure where to hold your cycling event or you and your friends are looking for something a bit different then we’ve put together a list of rides that we hope will inspire you. 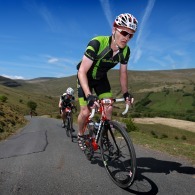 One of the toughest and wildest cycle climbs in Britain. If you’ve got the legs for it, completing all 45 miles will be something to tell the grandkids about. The whole trail is 377 miles running right across Wales at its widest part with fantastic scenery. Lots of riders choose to take on either the East or West section. The spine of England is 327 miles long and passes through three national parks. 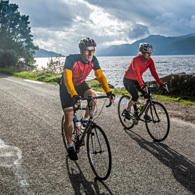 The sustrans website can help you choose a section from among the most popular or challenging. A favourite for city dwellers who can hop on the train to Reading or Bath, then head off on 85 miles of towpaths and quiet rural roads with plenty of historic sightseeing along the way. If you’re leading a group of mixed abilities, the Forest of Dean family cycle trail could be perfect. You can choose between a short 3 miles or an 11 mile circuit. Want more ideas? Check out the interactive National Cycle Network map at sustrans.org.uk or explore fifteen classic European rides at eurovelo.com.